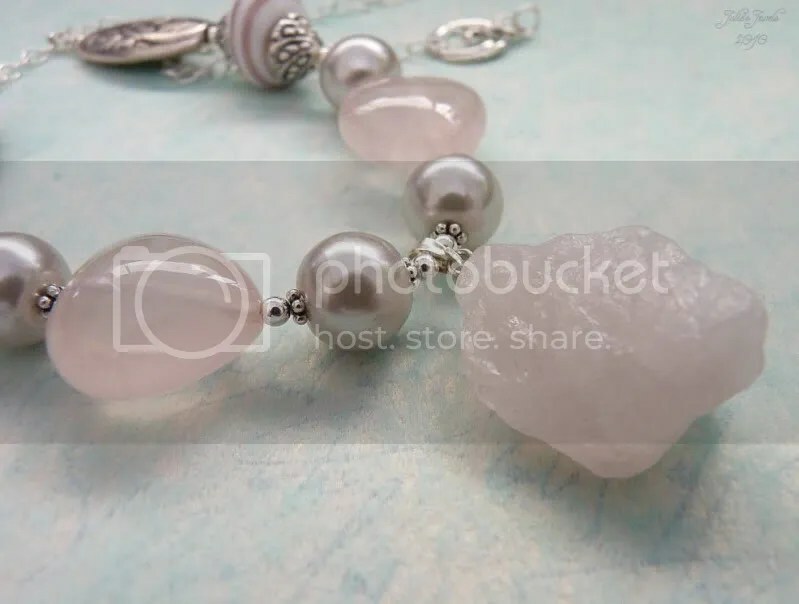 This beautiful necklace is a product of another receipe challenge. 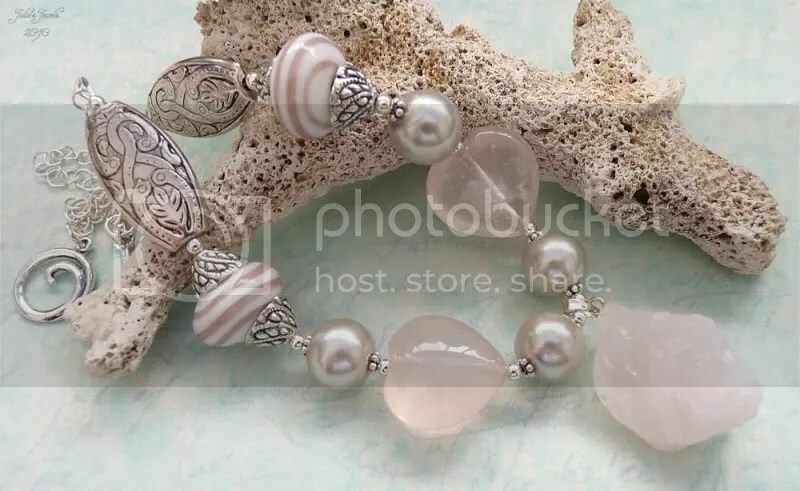 My ingredients are the 2 white with purple swirls – 3 Rose Quartz beads, 2 hearts and 1 druzzy centerpiece, 2 Rhodium beads and 4 pale green Swarovski pearls along with some Sterling Silver and Pewter to tie it all together. 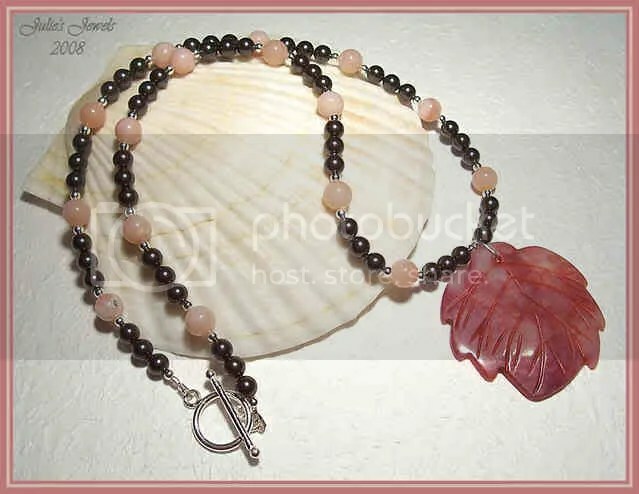 Well with the help of some Natural Pink Peruvian Opal and Black Swarovski Pearls – this is what appeared. 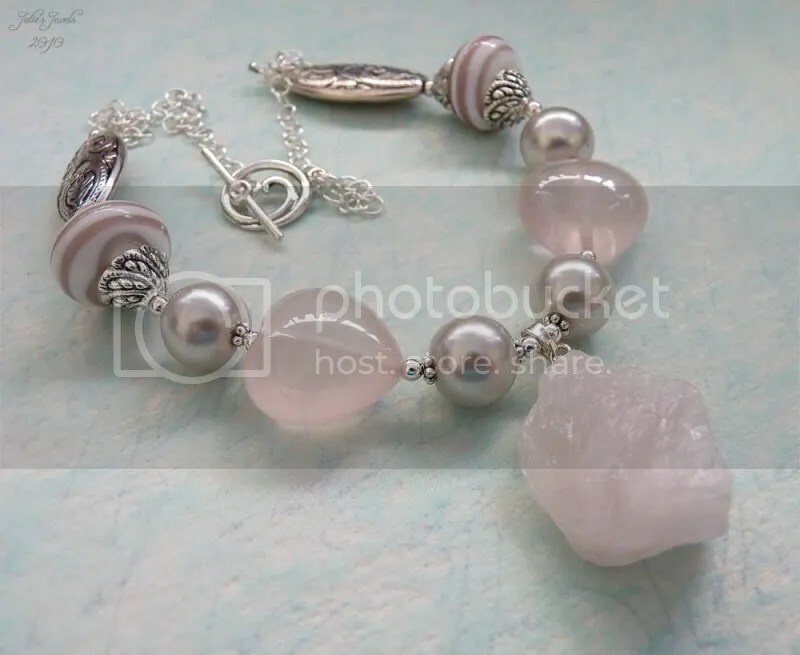 Highlighted with Sterling Silver – of course.